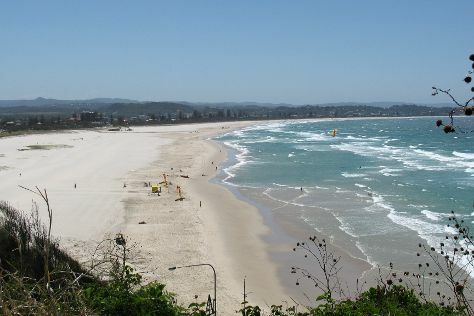 Visit Coolangatta Beach and Kurrawa Beach for some beach relaxation. You'll discover tucked-away gems like Burleigh Heads Beach and Currumbin Wildlife Sanctuary. Explore the numerous day-trip ideas around Broadbeach: Coolangatta (Captain Cook Memorial and Lighthouse, Kirra Beach, & more), Natural Bridge (in Springbrook), Tugun Beach (in Tugun), Surf World Gold Coast (in Currumbin) and Dreamworld (in Coomera). Spend the 10th (Sat) exploring nature at Tumgun Lookout. And it doesn't end there: see the interesting displays at Ripley's Believe It Or Not!, get some thrills on the water with a speed boat tour, enjoy breathtaking views from SkyPoint Climb, and tour the pleasant surroundings at Surfer's Paradise Beach. To see ratings, maps, where to stay, and other tourist information, read our Broadbeach custom trip planner. Sydney to Broadbeach is an approximately 3.5-hour combination of train, flight, and bus. You can also drive; or take a bus. In December, daytime highs in Broadbeach are 31°C, while nighttime lows are 22°C. Finish your sightseeing early on the 10th (Sat) to allow enough time to travel back home.